$27.99 & FREE Shipping on orders over $59. 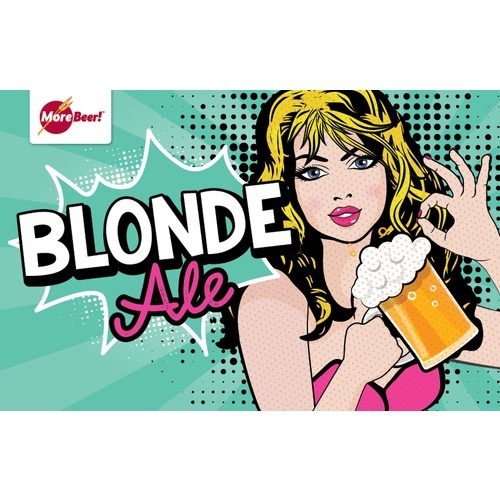 A Blonde Ale is a great starter beer for those who are new to craft beer. Blonde ales are an easy drinking ale, low in esters, balanced with enough hop character to accentuate the malt profile. We brew this beer for big party events. Made it before and liked it. Recommended by a friend as a good beer for my first attempt at home brew. A friend brews beer and wanted to try this one. Wanted something with good drinkability and my wife could shandy. Wanted something easy and very drinkable for most people. This is only my second batch. I made it once and it was very good! It was the best beer i've brewed to date. It is the most like what I buy in the store. Sounds like a good place to start my folks that don't like craft beer. Brewed this in my garage while testing the SteamSlayer (HBT), during the midwest Polar Vortex of 2019. I am an all-grain brewer, but didn't want to deal with the mess so I went with a kit that would work for my test. The beer was simple to brew and came out nicely. Brewed this while testing out the SteamSlayer on a cold Polar Vortex Midwest evening in my garage. Brewing this extract kit on a cold winter day was much more enjoyable then the all-grain irish stout I brewed two weeks prior. Overall this is a solid offering. This is the first blond I've brewed and I'm impressed. I added a tea spoon of vanilla extract which gave a slight vanilla flavor. I mistakenly added the whole clarification tablet, but dont think it hindered the flavor. The beer came out darker than expected but I dont mind. Very good beer, I will buy again. Had a summer party a couple weeks back and it was 96 degrees outside. This was a good beer for this time of the year. It was very popular and we ran out by the end of the party. This beer has been a crowd pleaser. My wife doesn't really like beer, particularly anything hoppy, but absolutely loves the taste. I would make this beer again. We made 10 gallons for this brew. Very easy kit to use. Easy brew and loved the idea of adding malt extract in final 20 minutes. Gave it a really nice light color. A real crowd pleaser, will make this a lot. This is a very tasty beer. Not too hoppy, just right for quaffing. It pours into a glass with a beautiful honey color and fluffy head. I would make this again and again and put some aside for summer after working in the garden or going for a run. This was my first kit that I have attempted. Overall despite some brewing tips I have seen since, and know not to do next time I am very happy with this beer. Great flavor, easy drinking, and I enjoy every bottle I have opened. I am guessing with some of the things I know now to do differently that this beer will be even better and I will be ordering this one again and again as I think it will be a staple to have in the refrigerator. 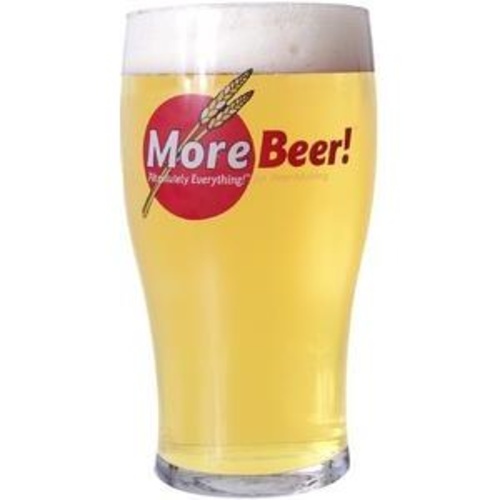 I will also say that the kits I have so far received from MoreBeer have been outstanding. They come complete and with easy instructions to follow. For a newcomer to homebrew their equipment kit was very complete, and the instructions made for an enjoyable experience. Thank you!!!!! You have a long term customer with me. 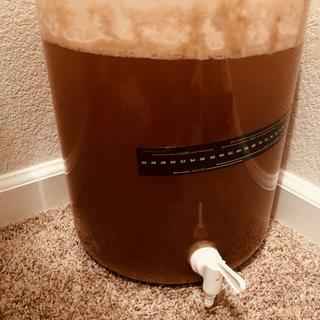 This was my first brew and couldn't be happier. The easy to follow directions and clearly labeled ingredients made this an easy and fun brew to start with. The blonde turned out darker than I expected, but the taste was great. Can't decide whether to play with the recipe or just brew again because I enjoyed it so much. I've made this kit twice and both times it is a lot darker than expected. Something in the higher 20's to low 30's SRM. It still taste pretty good. Just darker than expected. Anyone else have this issue? Yes this blonde ale is definitely a bit darker then I had expected too. I bought this kit and it turned out to be a great go to summer beer. I added a pound of honey to up the alcohol slightly, then used the California Ale yeast. I also added 4oz of peach flavoring at bottling time. Turned out being a great honey peach ale. I would definitely recommend this kit to anyone looking for a nice light summer beer. Been brewing for years and this one surprised me. Very simple recipe, but with great results. Ordering again. Just a good tasting light ale. This was my first time brewing and I was a little nervous, but the beer came out great. It will probably get better with a little more aging, but I had to try it after waiting two weeks. My son and his friends love it. This is a very basic extract kit that I added to my order from a daily deal. I couldn't tell you what it taste like because I divided up the ingredients and I used the LME as a stout base. Very good beer, hoppy but not aggressive. I dry-hopped this ale for about 5 days and the color is a nice yellow with an orange tinge, great nose and satisfying mouth-feel. 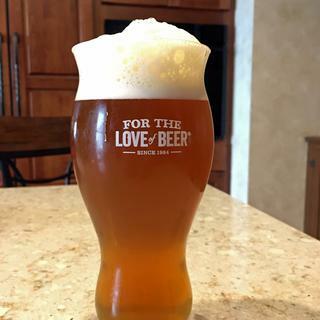 this was the very first brew I ever brewed.....and nailed it! Very tasty, easy to drink and easy to brew. I ordered a second kit about a month after brewing my first one. I made this ale with the thought of anybody who hasn't tried other types of beers to give something new a chance. This will be a present for one of our friends at his 50th birthday where it will be shared out. I was pleasantly surprised at the outcome of this ale. My OG was at 1.045 with a FG at 1.010 and I used a wort chiller instead of the included clarifying tabs that come with the kit. The SRM shown in the picture here doesn't look like an 8, but I'm thinking the 8 would be the max result you would have if you brewed this beer correctly and this is just a general picture. 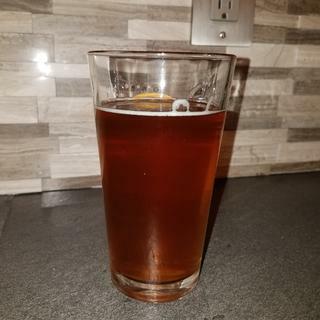 When I poured a bottle after 14 days (chilled in the frig for several hours); I compared the color and head to other commercial ales and found my beer to just about look the same with a Southern Star Bombshell Blonde. I way very proud of my self! Cheers! served this at my bbq and it was a hit. going to brew this one again. my guesses were amazed and now i'm a star. thank you, MORE BEER. well I brewed this beer twice and going for 3 and will add something to it this time. blonde ale , a great kit to experiment with. Brewed this as my first batch getting back into home brewing after a several year break. Easy recipe, 2 weeks primary then bottled. Came out great. Have another batch in the fermenter now. Will be kegging that one. first time brewing and this is easy to make.I let it ferment for2 weeks and let it rest for another week and then bottled it. After a month I tried one and then two. man what nice beer. After 7 days in fermenter transferred to a carboy for 2 days cold crash and into Keg. Ended up with fg at 1.010 which gave me 4.5% abv. Very good light beer. Subtle fruit flavor with an almost buttery taste. Easy drinking great summertime ale. Used us-05 yeast. Good. Easy to brew. Good to drink. I like this beer. It isn't hoppy and it isn't bland. Good mix and most people will like it. Made this for a family member that is a Natural Light lover, I was surprised that he realty liked it, plus wanted me to make more. Hopefully I can turn him into a craft beer lover. good drinkable beer, It is hard to mess up this beer, always comes out good and friends always complement. I added fresh orange peel and came out even better, tasted like a hefeweizen. Only complaint I have is, it comes out a little thick and not sure why? maybe something I am not doing right?